It’s always exciting when a new sequel to a Pixar film is confirmed, isn’t it? Well, except for Cars. You’ll hear tons of rumours about it beforehand, but it’s even better once you know it’s going to happen – even more so when a trailer is released. Speaking of which, here’s the new trailer for ‘The Incredibles 2’, for those of you haven’t got a chance to see it yet. It’s been over 10 years since the first film’s release back in 2004, so those who watched it as children are just as excited for the sequel now that they’re adults. Perhaps it’ll make up for last summer that gave us the Sony Animation atrocity that is ‘The Emoji Movie’, and yet another Pixar ‘Cars’ sequel that nobody wanted. Regardless, this new trailer looks awesome, and we hope it will rejuvenate some of the lacklustre releases in the Animation genre of late. So, what do we know about ‘The Incredibles 2’ so far? So far, the release date is set to be June 15th, 2018, fulfilling the schedule of the summer blockbuster in animation. This release date is for the US, but expect it’s worldwide release in cinemas to be very close to that date. If you remember the first film, the story ends with the appearance of ‘The Underminer’, who announces his “war on peace and happiness”. It ended on somewhat of a cliffhanger, and now the battle will finally continue with the notorious villain at the beginning of the sequel. Despite the fact that it’s been 14 years since the last film, time hasn’t moved on at all in the world of ‘The Incredibles’, unlike in ‘Toy Story 3’ where the film is set ten years after the release of ‘Toy Story 2’. So this means Violet is still an awkward teen, Dash is still a cocky scamp, and Jack-Jack is still an infant, yet to learn his powers properly. Unlike in the first film, this time it’ll be Elastigirl (or Mrs. Incredible) who sets out on a mission to campaign for the return of Supers, while Mr. 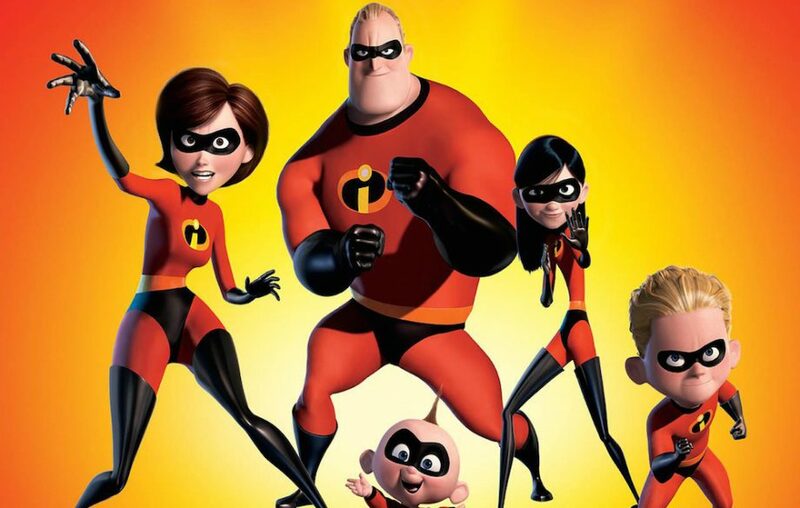 Incredible stays at home to look after the kids and discover Jack-Jack’s powers. However, him and Frozone find themselves in battle with a new villain. Apologies if that sounds a little vague, but remember, it’s still early days. But that’s just the beauty of not knowing – it makes it all the more exciting when we can sit down in our cinema seats and catch this latest flick. Let’s be honest, if Edna Mode wasn’t going to make an appearance in this film, many of us would be downright disappointed. But, we’re happy to see her in the trailer and we can’t wait for her return in this new film. After all, she’s probably the best character out of the whole franchise, besides Frozone. So, will this new animation movie live up to its expectations and surpass it’s predecessor, or will it be another case of a sequel that falls short of the mark? Only time will tell. Who else is looking forward to the release of ‘The Incredibles 2’, and what do you all think of the trailer? Let us know your thoughts in the comments down below.